This week has been an interesting one. I'm continuing to work towards getting it ready to show off. 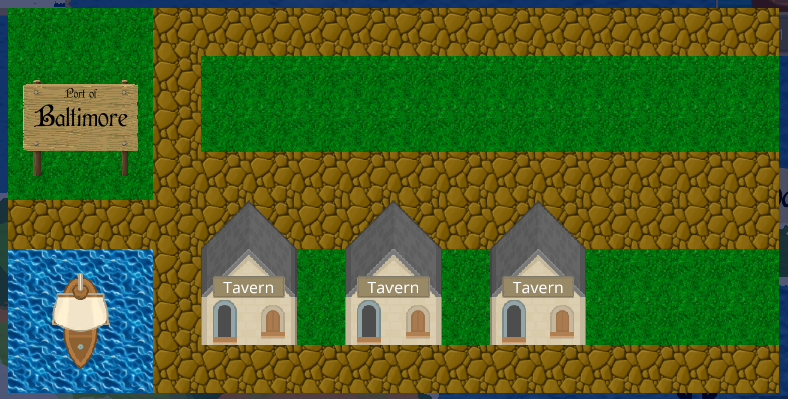 To do so, I improved the look of the mountains and terrain in general, I started working on a website, and continuing to work on the town layout that I've been working on for a few weeks. Looking at the terrain, I realized that I had made it too flat in appearance. I fixed this, as can be seen above. I also have started to replace the city layout, as I've mentioned a few times before. You can see how it will roughly look, although I'm continuing to improve it. The next version the buildings will look different, and the city label will contain more information, slightly. I'm fairly confident I can have a fully working version of this by the end of this week! As mentioned, I started a website. I have a host, and will be continuing to work on improving things further, although I'm still trying to decide exactly what it will look like. Stay tuned, I hope to have something in the next week or two. It will result in a new blog location, and I'm going to try to import everything from this blog to the new one (At least, all of the dev blogs for this game). My Amateur Radio following group will be happy to have this return to it's original purpose!